A reference on the modular secondaries of Venus and how to find the perfect build for you. 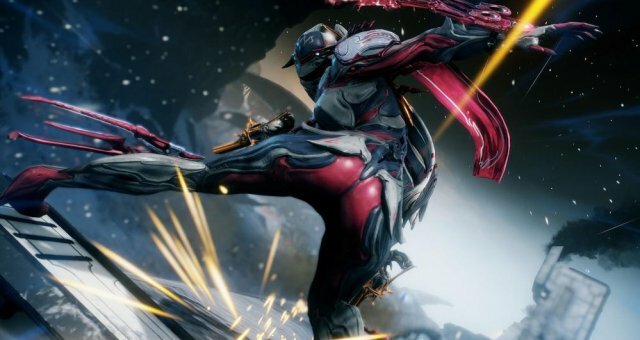 Like their melee counterparts, Kitguns rival and often surpass their premade predecessors (besides Mara Detron). A local tinkerer trading her wares in exchange for Solaris United standing. Here you will purchase and assemble your Kitgun parts. She is also the cutest character in the game. 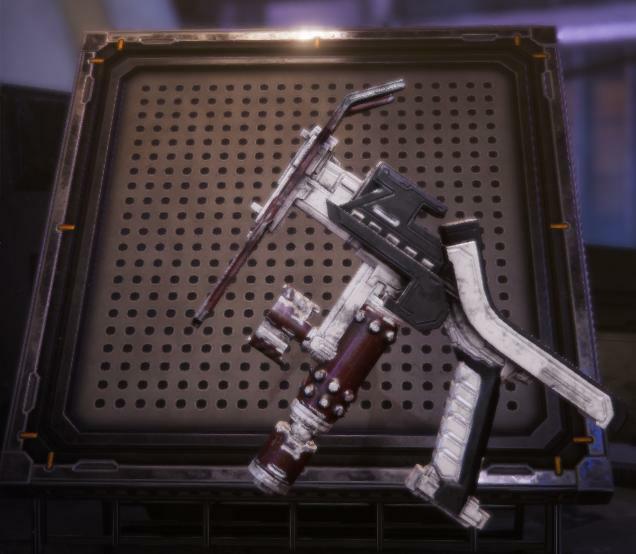 Exchange Solaris standing for Chambers, Grips, Loaders and Pax Arcanes. 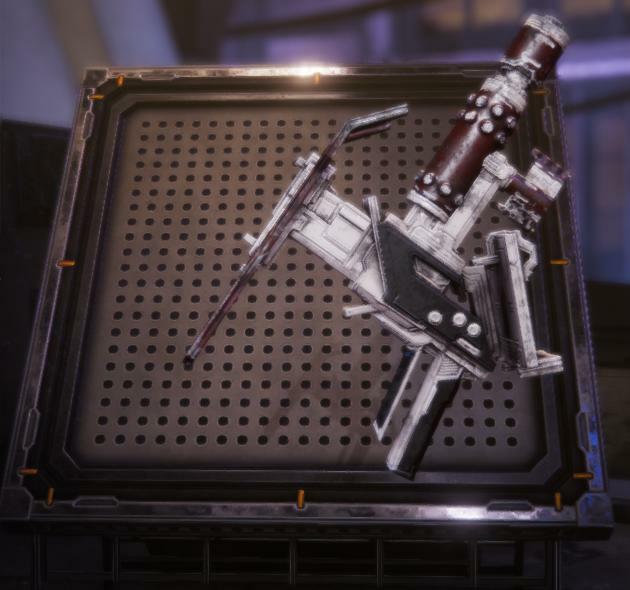 Donate Kitguns you no longer need in exchange for Solaris standing. 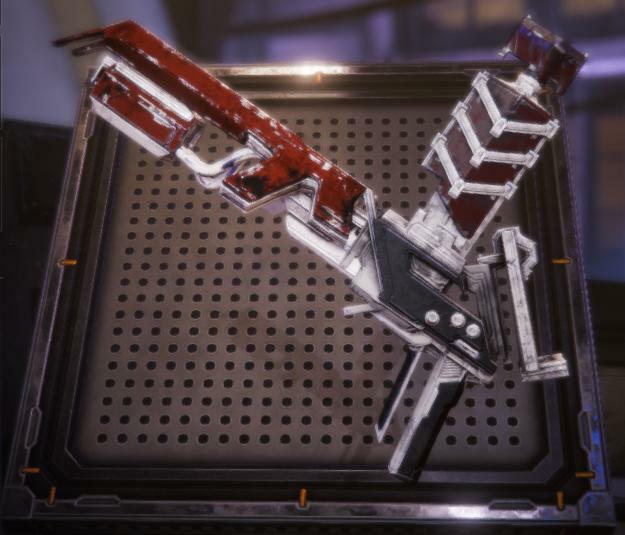 Rename Kitguns and non-Kitgun secondary weapons for a 15p fee. Purchase a pre-built Kitgun with Platinum consisting of random parts that are shuffled daily. Likely why you're here. I feel some points must be highlighted before you go on to use my builds or decide to theorycraft ones of your own. Nearly every build is similar. Without a Riven to fine-tune a build around, the system is generally safe and cookie cutter. You could see this as a good or bad thing. Hydraulic Crosshairs shows up often because you'll be aiming for the head when using Arcanes anyways. 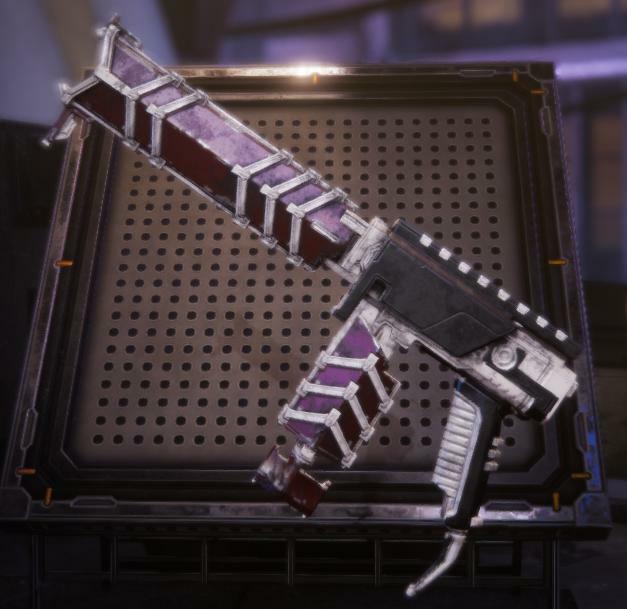 If you are not fond of headshots (in which you are crazy because these Pax Arcanes are the crown jewel of these systems), then try replacing it with Augur Pact, Sharpened Bullets or making it your designated Riven slot. The theme here is crit as it has the most reliability in actual gameplay scenarios, and not bullying conga lines in the Simulacrum. The status Loaders will likely see more use in the event a pellet-based Chamber is ever added. At a glance it is definitely obvious that the mixed Status/Critical Loaders are junk compared to the ones that give maximum Status/Crit. This is not the case when you have a Riven, allowing you to compensate for those Status/Crit stats or make up for Haymaker's fire-rate. 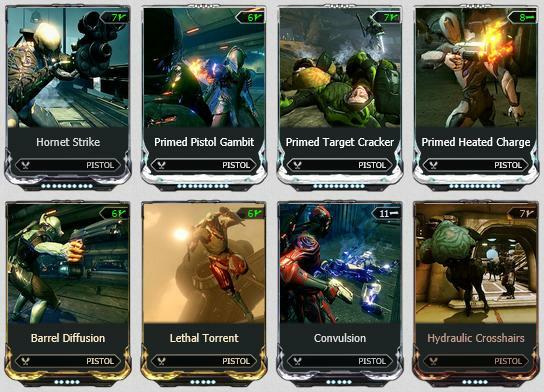 When it comes to choosing the maximum Status/Crit mods, the choice between Magazine and Reload speed is a personal choice in every case but Gaze (you want more Magazine to burn through for the damage ramp-up mechanic). I personally opt for the Reload Speed option for more chances of proccing Arcane Awakening. It helps that I make a habit out of reloading whenever I'm out of sight. If you're really really enjoying Kitguns as much as I am, I can't stress how well a few frames pair with them. 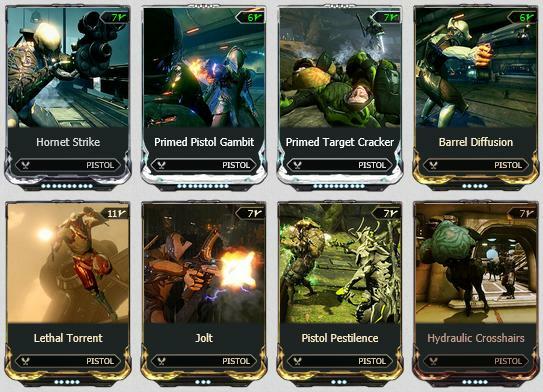 Harrow, Mesa, Mirage and Rhino all synergize extremely well with any of the builds below. 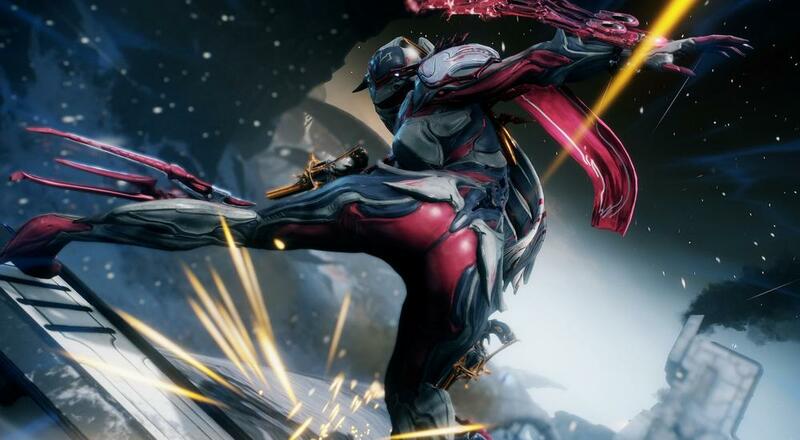 On top of the above frames, Zephyr is a great choice all around for Fortuna content. The Jet Stream augment mod for Turbulence really helps the travel time of every projectile-based Chamber. Pair that with the Pax Soar arcane and the Tractor Beam precept for Moa companions and Zephyr becomes a floating storm of projectiles wherever you aim. 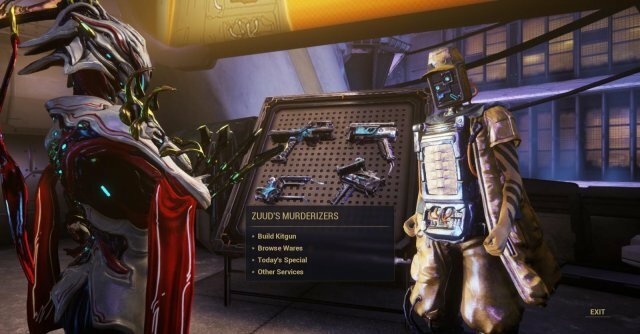 Combinations of Grips and Loaders as well as suggested mod loadouts for the Catchmoon Chamber. Broken. Absolutely broken. The most damage-heavy Kitgun you can build and is only amplified once Pax Seeker's fireworks go off. Make sure always be aiming for the head. I personally use Killstream for more Arcane Awakening procs but Splat will give a 2% bonus to Status Chance. No idea if that's a bug or not. Combinations of Grips and Loaders as well as suggested mod loadouts for the Gaze Chamber. Point it at a head and it's dead once charged with the beam ramp-up. Go with a slower fire-rate Grip if you can compensate with Harrow or a Riven. Flexible with any Arcane, but I personally use it as a tool for Pax Bolt in casual play. Combinations of Grips and Loaders as well as suggested mod loadouts for the Rattleguts Chamber. 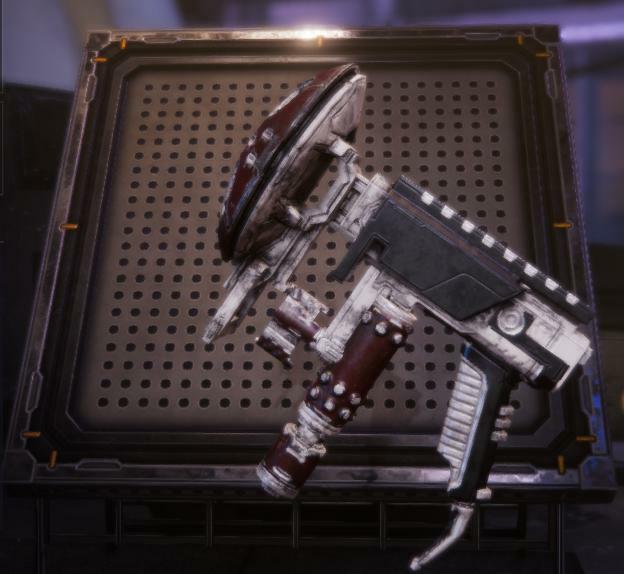 What I feel should be the standard for casual use.If you're shooting at it, it isn't going to get any time to shoot back. Pairs perfectly with the whole "Zephyr+Moa+Pax Soar" thing I've been talking about this whole time. Puts Akstiletto Prime out of a job. Same mod build as above but with different parts. For use with Harrow only. That, and/or a riven. Spritz anything with just a third of the clip and it's gone as well as any enemies around it once Seeker procs. Once again, I prefer Killstream for Arcane Awakening. Combinations of Grips and Loaders as well as suggested mod loadouts for the Tombfinger Chamber. Loader choice is actually pretty lax here. So long as you're aiming for the head you are good. This thing is built for maximum power but you can't go wrong with Lovetap either if the slow fire-rate doesn't feel fluid enough for you with Lethal Torrent. Aim for the guy in the back of the crowd. There's a weird AoE AROUND the projectile as it travels, so it helps stagger and apply status to anything it grazes along the way to it's target. Pax Seeker will clean them up for you.